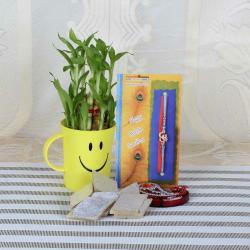 Make your loved one amaze this Raksha Bandhan by sending them this amazing gift pack. 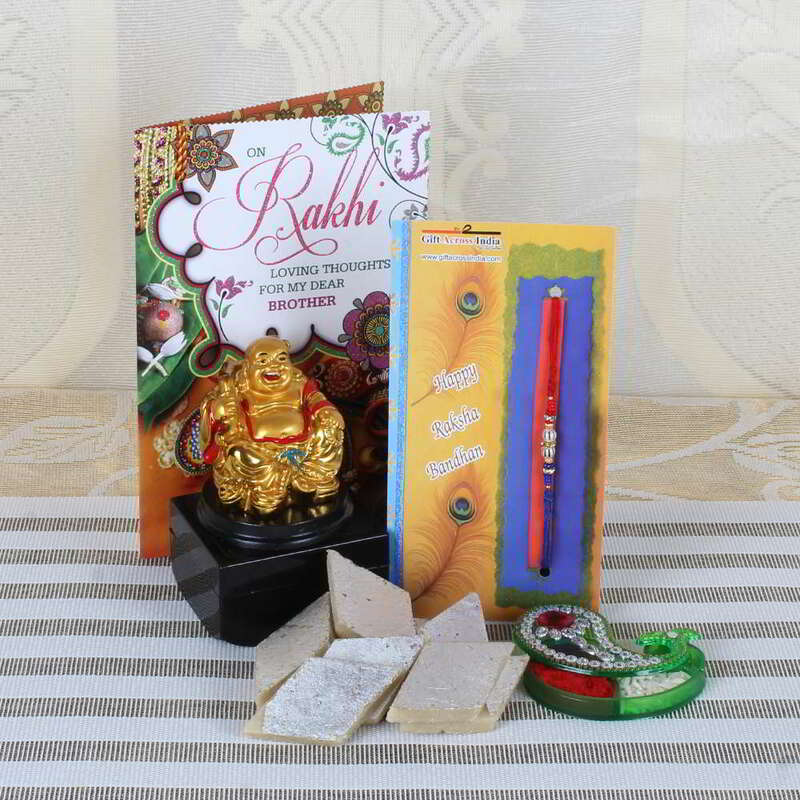 The pack includes a designer Rakhi, laughing Buddha, Rakhi special greeting card, roli chawal container and a pack of kaju katli to celebrate the moment. 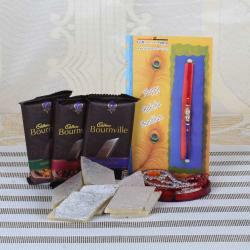 Send this gift pack to your loved and make them feel the essence of love and care it has in it. 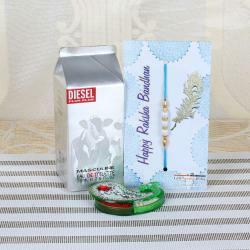 The designer Rakhi thread tied in an envelope designed especially for Raksha Bandhan. It also has a laughing Buddha which is a good luck charm for all. This gift is a perfect blend of love and care which is reflects in the pack. 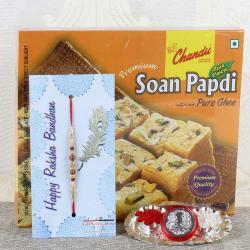 Product Consist: Kaju Katli (Weight: 200 gms), Designer Rakhi, Big Laughing Buddha and Rakhi Greeting Card along with Roli Chawal.